Only because there is a poverty in imagination and a real lack of understanding of the limitations of this approach. Oh yes, and a desire to control teachers, corporatize, privatize, etc. In light of the very high representation of English language learners in the Dallas Independent School District — an astounding 37.8 percent, more than twice the state average — the next superintendent should definitely be someone who knows and understands the research pertaining to this group of students. This research consists of bilingual education, language acquisition, quality English as a Second Language programs and instruction, student placement and program evaluation. The new superintendent should bring experience in improving and enhancing ESL programs and services. Will transitional bilingual education models be maintained? If so, will these include both early- and late-exit models? Will the new superintendent promote dual-language instruction? If so, what models would apply best districtwide, given a context of school segregation by race or ethnicity and class? Regarding bilingual education, a study commissioned by the Texas Education Agency in 2000, the Texas Successful Schools Study: Quality Education for Limited English Proficient Students, showed that English-language learners who remained in the bilingual program until they were designated as “English proficient” met or exceeded the performance of students in the all-English program in the same grade levels and at the same schools. Such findings are typical in research on effective bilingual education programs. This debate is more about politics than evidence. For nonbilingual education and non-ESL personnel, the superintendent needs to consider how general education teachers can be better prepared to serve English language learners in their classrooms. Improving collaboration between ESL and general classroom teachers is often overlooked, yet this is so vital to a welcoming, positive school environment. The benefits of bilingualism and biliteracy are widely recognized for children’s cognitive development. Both promote academic achievement, cognitive flexibility and problem-solving capacities that are not enjoyed by monolingual speakers. Indeed, all children stand to benefit from knowing a second language at an advanced level. To this end, what we need are rich opportunities for youths both at the elementary and secondary levels that promote the development of the students’ native language to keep pace with their academic development in the English language. At the district level, central office and campus administrators also need to be prepared to serve the needs of culturally and linguistically diverse students. Clearly, qualified teachers and administrators of English language learners are needed in great numbers, so what plans will the superintendent have to prepare, recruit and retain them? Standardized tests provide metrics for determining program success. However, the information they provide is not only limited but is also language-dependent, in the case of English-language learners. Hence, what other criteria might this new superintendent use to gauge progress toward closing the achievement gap? The new superintendent needs to promote high expectations and academically challenging instruction to prepare these youths for college. Minimum-track classes that lead to a minimum diploma should be avoided for all students in general and for English language learners in particular. Unfortunately, being an English learner and a student with college aspirations tend not to go hand in hand. How, then, can the next superintendent work to reverse such mind-sets? Finally, it is not enough for our children to be bilingual. For them to function at advanced, professional levels in our global society, they must also be biliterate. They must command the ability to read and write at sophisticated levels across all content areas in powerful writing contexts for authentic audiences and purposes. The future superintendent should promote bilingual or ESL programs that are well-funded, staffed and designed if they are to genuinely address the very achievement-gap problem that otherwise bedevils most superintendents and district leaders. 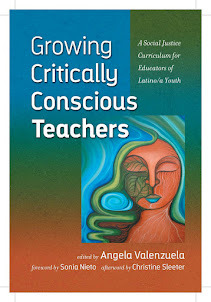 Angela Valenzuela is a professor in the College of Education at the University of Texas at Austin. Her email address is valenz@austin.utexas.edu. Our goal: To advocate hiring a strong change agent at DISD and for instituting reforms with records of success. Our work so far: Since September, we’ve been publishing exclusive commentaries by national education experts on DISD’s future and editorials offering our recommendations. "When value-added models were first conceived, even their most ardent supporters cautioned about their use [Sanders 1995, abstract]. They were a new tool that allowed us to make sense of mountains of data, using mathematics in the same way it was used to understand the growth of crops or the effects of a drug. But that tool was based on a statistical model, and inferences about individual teachers might not be valid, either because of faulty assumptions or because of normal (and expected) variation." "People recognize that tests are an imperfect measure of educational success, but when sophisticated mathematics is applied, they believe the imperfections go away by some mathematical magic. But this is not magic. What really happens is that the mathematics is used to disguise the problems and intimidate people into ignoring them—a modern, mathematical version of the Emperor’s New Clothes." "Unfortunately, VAM proponents and politicians have framed the discussion as a battle between teacher unions and the public." "Of course we should hold teachers accountable, but this does not mean we have to pretend that mathematical models can do something they cannot. Of course we should rid our schools of incompetent teachers, but value-added models are an exceedingly blunt tool for this purpose. In any case, we ought to expect more from our teachers than what value-added attempts to measure." This was written by John Ewing, president of Math for America, a nonprofit organization dedicated to improving mathematics education in U.S. public high schools by recruiting, training and retaining great teachers. This article originally appeared in the May Notices of the American Mathematics Society. It gives a comprehensive look at the history, current use and problems with the value-added model of assessing teachers. It is long but well worth your time. Mathematicians occasionally worry about the misuse of their subject. G. H. Hardy famously wrote about mathematics used for war in his autobiography, A Mathematician’s Apology (and solidified his reputation as a foe of applied mathematics in doing so). More recently, groups of mathematicians tried to organize a boycott of the Star Wars [missile defense] project on the grounds that it was an abuse of mathematics. And even more recently some fretted about the role of mathematics in the financial meltdown. But the most common misuse of mathematics is simpler, more pervasive, and (alas) more insidious: mathematics employed as a rhetorical weapon—an intellectual credential to convince the public that an idea or a process is “objective” and hence better than other competing ideas or processes. This is mathematical intimidation. It is especially persuasive because so many people are awed by mathematics and yet do not understand it—a dangerous combination. The latest instance of the phenomenon is valued-added modeling (VAM), used to interpret test data. Value-added modeling pops up everywhere today, from newspapers to television to political campaigns. VAM is heavily promoted with unbridled and uncritical enthusiasm by the press, by politicians, and even by (some) educational experts, and it is touted as the modern, “scientific” way to measure educational success in everything from charter schools to individual teachers. Yet most of those promoting value-added modeling are ill-equipped to judge either its effectiveness or its limitations. Some of those who are equipped make extravagant claims without much detail, reassuring us that someone has checked into our concerns and we shouldn’t worry. Value-added modeling is promoted because it has the right pedigree — because it is based on “sophisticated mathematics.”As a consequence, mathematics that ought to be used to illuminate ends up being used to intimidate. When that happens, mathematicians have a responsibility to speak out. Value-added models are all about tests—standardized tests that have become ubiquitous in K–12 education in the past few decades. These tests have been around for many years, but their scale, scope, and potential utility have changed dramatically. Fifty years ago, at a few key points in their education, schoolchildren would bring home a piece of paper that showed academic achievement, usually with a percentile score showing where they landed among a large group. Parents could take pride in their child’s progress (or fret over its lack); teachers could sort students into those who excelled and those who needed remediation; students could make plans for higher education. Today, tests have more consequences. “No Child Left Behind” mandated that tests in reading and mathematics be administered in grades 3–8. Often more tests are given in high school, including high-stakes tests for graduation. With all that accumulating data, it was inevitable that people would want to use tests to evaluate everything educational—not merely teachers, schools, and entire states but also new curricula, teacher training programs, or teacher selection criteria. Are the new standards better than the old? Are experienced teachers better than novice? Do teachers need to know the content they teach? Using data from tests to answer such questions is part of the current “student achievement” ethos—the belief that the goal of education is to produce high test scores. But it is also part of a broader trend in modern society to place a higher value on numerical (objective) measurements than verbal (subjective) evidence. But using tests to evaluate teachers, schools, or programs has many problems. (For a readable and comprehensive account, see [Koretz 2008].) Here are four of the most important problems, taken from a much longer list. 1. Influences. Test scores are affected by many factors, including the incoming levels of achievement, the influence of previous teachers, the attitudes of peers, and parental support. One cannot immediately separate the influence of a particular teacher or program among all those variables. 2. Polls. Like polls, tests are only samples. They cover only a small selection of material from a larger domain. A student’s score is meant to represent how much has been learned on all material, but tests (like polls) can be misleading. This last problem plays a larger role as the stakes increase. This is often referred to as Campbell’s Law: “The more any quantitative social indicator is used for social decision-making, the more subject it will be to corruption pressures and the more apt it will be to distort and corrupt the social processes it is intended to measure” [Campbell 1976]. In its simplest form, this can mean that high-stakes tests are likely to induce some people (students, teachers, or administrators) to cheat ... and they do [Gabriel 2010]. But the more common consequence of Campbell’s Law is a distortion of the education experience, ignoring things that are not tested (for example, student engagement and attitude) and concentrating on precisely those things that are. In the past two decades, a group of statisticians has focused on addressing the first of these four problems. This was natural. Mathematicians routinely create models for complicated systems that are similar to a large collection of students and teachers with many factors affecting individual outcomes over time. Here’s a typical, although simplified, example, called the “split-plot design.” You want to test fertilizer on a number of different varieties of some crop. You have many plots, each divided into subplots. After assigning particular varieties to each subplot and randomly assigning levels of fertilizer to each whole plot, you can then sit back and watch how the plants grow as you apply the fertilizer. The task is to determine the effect of the fertilizer on growth, distinguishing it from the effects from the different varieties. Statisticians have developed standard mathematical tools (mixed models) to do this. Does this situation sound familiar? Varieties, plots, fertilizer ...students, classrooms, teachers? This is often explained to the public by analogy. One cannot accurately measure the quality of a teacher merely by looking at the scores on a single test at the end of a school year. If one teacher starts with all poorly prepared students, while another starts with all excellent, we would be misled by scores from a single test given to each class. To account for such differences, we might use two tests, comparing scores from the end of one year to the next. The focus is on how much the scores increase rather than the scores themselves. That’s the basic idea behind “value added.” But value-added models (VAMs) are much more than merely comparing successive test scores. Given many scores (say, grades 3–8) for many students with many teachers at many schools, one creates a mixed model for this complicated situation. The model is supposed to take into account all the factors that might influence test results — past history of the student, socioeconomic status, and so forth. The aim is to predict, based on all these past factors, the growth in test scores for students taught by a particular teacher. The actual change represents this more sophisticated “value added”— good when it’s larger than expected; bad when it’s smaller. The best-known VAM, devised by William Sanders, is a mixed model (actually, several models), which is based on Henderson’s mixed-model equations, although mixed models originate much earlier [Sanders 1997]. One calculates (a huge computational effort!) the best linear unbiased predictors for the effects of teachers on scores. The precise details are unimportant here, but the process is similar to all mathematical modeling, with underlying assumptions and a number of choices in the model’s construction. When value-added models were first conceived, even their most ardent supporters cautioned about their use [Sanders 1995, abstract]. They were a new tool that allowed us to make sense of mountains of data, using mathematics in the same way it was used to understand the growth of crops or the effects of a drug. But that tool was based on a statistical model, and inferences about individual teachers might not be valid, either because of faulty assumptions or because of normal (and expected) variation. Still, Sanders says, it’s critical that ineffective teachers be identified. “The evidence is overwhelming,” he says, “that if any child catches two very weak teachers in a row, unless there is a major intervention, that kid never recovers from it. And that’s something that as a society we can’t ignore” [Hill 2000]. “The Times used a statistical approach known as value-added analysis, which rates teachers based on their students’ progress on standardized tests from year to year. Each student’s performance is compared with his or her own in past years, which largely controls for outside influences often blamed for academic failure: poverty, prior learning and other factors. “No one suggests using value-added analysis as the sole measure of a teacher. Many experts recommend that it count for half or less of a teacher’s overall evaluation. The article goes on to do exactly what it says “no one suggests” — it measures teachers solely on the basis of their value-added scores. What Might Be Wrong with VAM? In the next few years, a number of scholarly papers and reports raising concerns were published, including papers with such titles as “The Promise and Peril of Using Valued-Added Modeling to Measure Teacher Effectiveness” [RAND, 2004], “Re-Examining the Role of Teacher Quality in the Educational Production Function” [Koedel 2007], and “Methodological Concerns about the Education Value-Added Assessment System” [Amrein-Beardsley 2008]. What were the concerns in these papers? Here is a sample that hints at the complexity of issues. • In the real world of schools, data is frequently missing or corrupt. What if students are missing past test data? What if past data was recorded incorrectly (not rare in schools)? What if students transferred into the school from outside the system? • The modern classroom is more variable than people imagine. What if students are team-taught? How do you apportion credit or blame among various teachers? Do teachers in one class (say mathematics) affect the learning in another (say science)? • Every mathematical model in sociology has to make rules, and they sometimes seem arbitrary. For example, what if students move into a class during the year? (Rule: Include them if they are in class for 150 or more days.) What if we only have a couple years of test data, or possibly more than five years? (Rule: The range three to five years is fixed for all models.) What’s the rationale for these kinds of rules? • Class sizes differ in modern schools, and the nature of the model means there will be more variability for small classes. (Think of a class of one student.) Adjusting for this will necessarily drive teacher effects for small classes toward the mean. How does one adjust sensibly? • While the basic idea underlying value-added models is the same, there are in fact many models. Do different models applied to the same data sets produce the same results? Are value-added models “robust”? •Since models are applied to longitudinal data sequentially, it is essential to ask whether the results are consistent year to year. Are the computed teacher effects comparable over successive years for individual teachers? Are value-added models “consistent”? “For a variety of reasons, analyses of VAM results have led researchers to doubt whether the methodology can accurately identify more and less effective teachers. VAM estimates have proven to be unstable across statistical models, years, and classes that teachers teach. One study found that across five large urban districts, among teachers who were ranked in the top 20% of effectiveness in the first year, fewer than a third were in that top group the next year, and another third moved all the way down to the bottom 40%. Another found that teachers’ effectiveness ratings in one year could only predict from 4% to 16% of the variation in such ratings in the following year. In addition to checking robustness and stability of a mathematical model, one needs to check validity. Are those teachers identified as superior (or inferior) by value-added models actually superior (or inferior)? This is perhaps the shakiest part of VAM. There has been surprisingly little effort to compare valued-added rankings to other measures of teacher quality, and to the extent that informal comparisons are made (as in the LA Times article), they sometimes don’t agree with common sense. None of this means that value-added models are worthless—they are not. But like all mathematical models, they need to be used with care and a full understanding of their limitations. Many studies by reputable scholarly groups call for caution in using VAMs for high-stakes decisions about teachers. A RAND research report: The estimates from VAM modeling of achievement will often be too imprecise to support some of the desired inferences [McCaffrey 2004, 96]. A policy paper from the Educational Testing Service’s Policy Information Center: VAM results should not serve as the sole or principal basis for making consequential decisions about teachers. There are many pitfalls to making causal attributions of teacher effectiveness on the basis of the kinds of data available from typical school districts. We still lack sufficient understanding of how seriously the different technical problems threaten the validity of such interpretations [Braun 2005, 17]. A report from a workshop of the National Academy of Education: Value-added methods involve complex statistical models applied to test data of varying quality. Accordingly, there are many technical challenges to ascertaining the degree to which the output of these models provides the desired estimates [Braun 2010]. Making policy decisions on the basis of value-added models has the potential to do even more harm than browbeating teachers. If we decide whether alternative certification is better than regular certification, whether nationally board certified teachers are better than randomly selected ones, whether small schools are better than large, or whether a new curriculum is better than an old by using a flawed measure of success, we almost surely will end up making bad decisions that affect education for decades to come. This is insidious because, while people debate the use of value-added scores to judge teachers, almost no one questions the use of test scores and value-added models to judge policy. Even people who point out the limitations of VAM appear to be willing to use “student achievement” in the form of value-added scores to make such judgments. People recognize that tests are an imperfect measure of educational success, but when sophisticated mathematics is applied, they believe the imperfections go away by some mathematical magic. But this is not magic. What really happens is that the mathematics is used to disguise the problems and intimidate people into ignoring them—a modern, mathematical version of the Emperor’s New Clothes. The concerns raised about value-added models ought to give everyone pause, and ordinarily they would lead to a thoughtful conversation about the proper use of VAM. Unfortunately, VAM proponents and politicians have framed the discussion as a battle between teacher unions and the public. Shouldn’t teachers be accountable? Shouldn’t we rid ourselves of those who are incompetent? Shouldn’t we put our students first and stop worrying about teacher sensibilities? And most importantly, shouldn’t we be driven by the data? Why must we use value-added even with its imperfections? Aside from making the unsupported claim (in the very last sentence) that “it predicts more about what students will learn ... than any other source of information,” the only apparent reason for its superiority is that value-added is based on data. Here is mathematical intimidation in its purest form—in this case, in the hands of economists, sociologists, and education policy experts. Of course we should hold teachers accountable, but this does not mean we have to pretend that mathematical models can do something they cannot. Of course we should rid our schools of incompetent teachers, but value-added models are an exceedingly blunt tool for this purpose. In any case, we ought to expect more from our teachers than what value-added attempts to measure. A number of people and organizations are seeking better ways to evaluate teacher performance in new ways that focus on measuring much more than test scores. (See, for example, the Measures of Effective Teaching project run by the Gates Foundation.) Shouldn’t we try to measure long-term student achievement, not merely short-term gains? Shouldn’t we focus on how well students are prepared to learn in the future, not merely what they learned in the past year? Shouldn’t we try to distinguish teachers who inspire their students, not merely the ones who are competent? When we accept value-added as an “imperfect” substitute for all these things because it is conveniently at hand, we are not raising our expectations of teachers, we are lowering them. And if we drive away the best teachers by using a flawed process, are we really putting our students first? Whether naïfs or experts, mathematicians need to confront people who misuse their subject to intimidate others into accepting conclusions simply because they are based on some mathematics. Unlike many policy makers, mathematicians are notbamboozled by the theory behind VAM, and they need to speak out forcefully. Mathematical models have limitations. They do not by themselves convey authority for their conclusions. They are tools, not magic. And using the mathematics to intimidate — to preempt debate about the goals of education and measures of success — is harmful not only to education but to mathematics itself. Henry Braun, Naomi Chudowsky, and Judith Koenig, eds., Getting Value Out of Value-Added: Report of a Workshop, Committee on Value-Added Methodology for Instructional Improvement, Program Evaluation, and Accountability; National Research Council, Washington, DC, 2010. Trip Gabriel, Under pressure, teachers tamper with tests, New York Times, June 11, 2010. Ted Hershberg, Virginia Adams Simon and Barbara Lea Kruger, The revelations of value-added: An assessment model that measures student growth in ways that NCLB fails to do, The School Administrator, December 2004. Cory Koedel and Julian R. Betts, Re-Examining the Role of Teacher Quality in the Educational Production Function, Working Paper #2007-03, National Center on Performance Initiatives, Nashville, TN, 2007. Daniel Koretz, Measuring Up: What Educational Testing Really Tells Us , Harvard University Press, Cambridge, Massachusetts, 2008. E. F. Lindquist, Preliminary considerations in objective test construction, in Educational Measurement (E. F. Lindquist, ed. ), American Council on Education, Washington DC, 1951. Daniel F. McCaffrey, Daniel Koretz, J. R. Lockwood, and Laura S. Hamilton, Evaluating Value-Added Models for Teacher Accountability, RAND Corporation, Santa Monica, CA, 2003. Daniel F. McCaffrey, J. R. Lockwood, Daniel Koretz, Thomas A. Louis, and Laura Hamilton, Models for value-added modeling of teacher effects, Journal of Educational and Behavioral Statistics 29(1), Spring 2004, 67-101. W. Sanders, A. Saxton, and B. Horn, The Tennessee value-added assessment system: A quantitative outcomes-based approach to educational assessment, in Grading Teachers, Grading Schools: Is Student Achievement a Valid Evaluational Measure? (J. Millman, ed. ), Corwin Press, Inc., Thousand Oaks, CA, 1997, pp 137–162. An important board meeting going down tonight. What parents and community need to remember is that the 15% rule is just one element of the larger system. There is no research that shows that this will facilitate greater learning and college readiness. In fact, universities and entire systems (e.g., University of California) have done away from relying on standardized assessment performance in admissions decisions. What proponents of the 15% rule (which you can count on one hand) are actually doing is contaminating the most significant research-based indicator that we know helps to predict how students will perform in college: GPA. Even before the state education commissioner began questioning Texas' emphasis on testing and the effect on teaching, districts had started backing off plans that would made the state's new standardized test count toward students' grade-point averages and class rank. Now, officials in Austin, Manor and Pflugerville said they will take another look at policies on how to incorporate the new State of Texas Assessments of Academic Readiness into a student's final grade. Ninth-graders start taking the end-of-course exams next month. The STAAR is replacing the Texas Assessment of Knowledge and Skills, and districts across the state are grappling with how to handle the new rules. Lawmakers have required the STAAR to count as 15 percent of the student's grade in each course, unlike the TAKS, but did not spell out how to do so. Instead, that has been left up to individual districts. Some, including the Eanes and Round Rock districts, have already said they will calculate the STAAR as part of the final grade that appears for the course on a student's transcript but said that final grade won't be used in calculating a student's GPA or class rank, which is what colleges will focus on. In Texas, being among the top of the class guarantees admission to all state universities. On Friday, Pflugerville officials said they may make changes to previously approved policies that called for including the exams in factoring GPAs and class rank. Manor Superintendent Andrew Kim, in a reversal from his recent testimony before state lawmakers during a hearing on the exams, said this week that he also will reconsider. "Originally, we had been somewhat strong about adding it in," Kim said. "But after looking at the tenor of what's out there ... and with this all possibly being reconsidered in the next legislative session, we figure it would be easier to (leave it out now and) add it in later on." The Austin district has polled parents on four possible ways to include the STAAR in student grades. All the options would affect class rank. But under pressure from concerned parents — and after noting what neighboring districts have done — several Austin school board members have said they'd also like to reconsider. Austin trustees plan to discuss the issue at a meeting tonight. Critics say school districts are taking a risk in trying to get around a new state law that clearly intends to strengthen school accountability. "When a high school sends a transcript to a college, they recalculate the GPA," said Drew Scheberle, senior vice president for education and talent at the Austin Chamber of Commerce, one of several business organizations that have been standing by the switch to higher standards based on college readiness. "So while Westlake is trying to be cute about this, what they could end up doing is (they could) give the wrong impression to their students," that the tests don't matter, Scheberle said. The districts are wrestling with the issue as state education Commissioner Robert Scott indicated he now thinks testing has gone too far. At a Texas Association of School Administrators meeting in January, he said that the state testing system has become a "perversion of its original intent" and that he was looking forward to "reeling it back in." As for how the districts decide to factor the test into student grades, he said the call is not his to make. "State law is very clear," Scott said in a statement. "I do not have the authority to issue a uniform grading policy for Texas public schools. Our education system is based on a presumption of local control by elected school boards. In short, my office has been given no authority to override the decisions of local school boards on their grading policies and the applications of the end-of-course exams to a student's grade. An attempt to do so would only invite litigation that would cause further confusion. "The law creating the 15 percent grading policy requirement was passed by the Texas Legislature in 2007. Two additional regular sessions have occurred since then, and lawmakers have not changed the grading policy provisions. I understand the situation may be causing confusion, and I look forward to working with lawmakers to sort this out in the next legislative session," he said. Of particular interest here to Scheberle and others who support the changes is where districts are setting minimum scores for the end-of-course exams. Austin's proposals vary, from 50 to 69. The lowest grade Georgetown students would get would be a 69. Pflugerville has set the minimum score at 60. "A student should not be able to hand in a blank test and get a 60 or above," Scheberle said. "Regardless of the law, it demoralizes the other students who are working hard, who do try, and it's not fair to those students. It's cynical and against the aims of education, which is to learn." Pflugerville officials said the process has been difficult for administrators to explain to parents. "We're responding to I think a lack of information," said Deputy Superintendent Keith McBurnett. He added that the whole idea of tying the assessment to students' grades perhaps needs to be delayed, if not reconsidered. There's no indication the state would do so. "The assessment is high stakes enough. It counts toward graduation," McBurnett said. "It seems to me as I've watched the dripping out of information, the best solution would have been to at least delay this another year and have all the information in place." While Scheberle disagrees the test should not be tied to grades, he said he does think Scott could have done a better job communicating with districts and parents about the new tests and grading requirements and preparing for the more rigorous exam. "He had 5½ years to prepare and he's not ready, so now he's blaming it on other forces," he said. Scott declined an interview with the American-Statesman. Scheberle said the purpose of the accountability system is to make sure students are ready for college and career, adding that the system currently doesn't do enough to meet the demands for highly qualified employees in Central Texas. "We have 55,000 unemployed here, and many of them have less than an associate's degree," he said. "It's hard for us to grow jobs if we don't have college-ready graduates, and this commissioner being squishy (on improving college readiness) isn't helping the situation." Kim, the Manor superintendent, said he supports Scott's comments about testing being taken too far and feels that there are other ways for students to demonstrate knowledge. Manor has started several classroom initiatives in which students demonstrate learning through projects. "I am a very big proponent and supporter of accountability and how it helps us improve education, but I do feel there are alternative ways to assess rather than just the one way we are looking at now," he said. "This whole debate has shown how there is this uniqueness to having local control. "I think the issue now is for the first time the state has kind of created a bridge toward state assessment and local control of grades, so what does that bridge look like? We feel that if the bridge does exist, then we want to do what is the very best for our kids in terms of motivating them to do well." The State of Texas Assessments of Academic Readiness is replacing the Texas Assessment of Knowledge and Skills. Lawmakers have required the STAAR to count as 15 percent of a student's grade in each course but did not spell out how to do so. Instead, that has been left up to individual districts. between 50 and 69. Final decision expected by March. Del Valle Yes Yes Pending Officials seeking public input on how to count exams toward grades. Dripping Springs Yes Yes Pending Officials said no further information was available. Eanes No No 67 Exam grade will appear on transcripts. Hays Pending Pending Pending Officials are reviewing options and hope to have a decision in March. Hutto Yes Yes Pending Officials are deciding between a minimum score between 0 and 60. Lake Travis No No Pending A final decision will be made after spring break. Leander Pending Pending Pending Administrators are recommending that the exams not affect GPA or class rank. Manor Pending Pending Pending District is looking at setting a bottom score between 60 and 69.
class rank will not be affected. Pflugerville Pending Pending 60 Administrators are waiting for more information from the state on passing standards. San Marcos Pending Pending Pending Administrators are waiting for more information from the state on passing standards. Source: Area school districts. Not all responded to requests for information. The Austin school board will meet to discuss end-of-course exams and naming a new early childhood development center, among other things. 6:30 p.m., Carruth Administration Center Board Auditorium, Room B100, 1111 W. Sixth St.
Stay tuned, everybody, to Patricia Lopez' dissertation research on HB3 that lays bare the who, what and how behind the new STAAR system of accountability and testing. Her work builds on the work of the Texas Center for Education Policy at UT-Austin, as well as earlier efforts that began over a decade ago in tandem with key community players like NAACP, LULAC, MASBA, the GI Forum, MALDEF (that spearheaded the federal trial [by Atty. Al Kauffman]), numerous scholars—including Drs. Linda McNeil, Richard Valencia, Kris Sloan, Gary Orfield and myself and other individuals and groups with challenges to TAKS and high-stakes accountability. It has been a long, hard-fought struggle but fortunately, we were able to eliminate high-stakes testing for third-graders in the state of Texas. This latest iteration, among other things, consists of 12 end-of-course exams, 45 testing days, and a contaminating of GPA (that this piece covers really well), by all trustworthy accounts, is simply headed in the wrong direction. You will not find any national professional organization of any repute that supports high-stakes testing--regardless of the fact that all states have them now for schools as a result of NCLB. Even the testing companies themselves say that tests should never be used in the way that they have been, and are continuing to be, used. Texans need to insist on research-based, fair and equitable approaches to student assessment and evaluation Much of this has been documented for quite sometime in this blog. There is a search function at the bottom of the page that will give you access to information over the years, from legislative session to legislative session. So yes, folks. More to come. The goal of the new high-stakes STAAR testing that Texas will launch in the spring is purportedly to increase the college readiness of the state's students. Unfortunately, it's entirely likely that this testing will diminish what is the single best indicator. That would be grade point average. With the State of Texas Assessment of Academic Readiness, high school students and their parents are supposed to be comforted by the removal of a single high-stakes test that determines a diploma. But in its place will be 12 end-of-course (EOC) tests — still high stakes, but in 12 installments. Fail to reach a minimum score on a single EOC and it doesn't count toward the cumulative scores of all EOCs. Don't reach this cumulative and you don't graduate. Fail to reach the minimum passing score for some classes and you don't get a “recommended” or “distinguished” high school diploma. In furtherance of a noble goal, college readiness, we're embarking on a testing arms race that will require more testing days and a spreadsheet to know if you're on track or not. But why? The best predictor of college success is just plain ol' high school grade point average. Writing this were Richard C. Atkinson and Saul Geiser. Atkinson is a former president of the University of California system and Geiser is a respected research associate at the Center for Studies in Higher Education at the University of California, Berkeley. They were talking mostly about SATs and ACTs. They wrote that standards-based assessments in high schools hold promise but said even these have had problems as predictors. They point to GPA as still most determinant. This is a word used both by Patricia Lopez, whose doctoral dissertation at the University of Texas is on STAAR, and Angela Valenzuela, who has studied high stakes testing as a UT professor and director of the Texas Center for Education Policy. Lopez is also a research associate at the center. They explain that these EOCs will count for 15 percent of grades in those core courses. And what is tested is also a problem. “What is the test really telling you if 65 percent of the test is focused on 30 percent of the curriculum?” asked Lopez. Lopez also noted that this potentially undercuts the state's 10 percent rule — dictating that the top 10 percent in high schools qualify for admission to the state's top public universities. Why then is Texas doing this (and, by the way, without adequate funding, either for remediation or testing)? Let's just call it the triumph of what sounds good — high standards and the teeth to enforce them — over what is actually good. Needed here: The realization that many factors determine college success — GPA key among them, successful course completion counting for much but testing, perhaps, counting for least of all. The big education news out of Washington yesterday was that 10 states have been awarded waivers of key accountability provisions in the No Child Left Behind Act. This action by the U.S. Department of Education holds some potentially important implications for teaching and learning, as it essentially opens the door for states to rethink their priorities and approaches in evaluating schools (and districts). And accountability systems create a lot of pressure to influence what gets taught—and how—in the classroom. The governor throws his support behind the Obama administration's decision to give New Jersey a pass on No Child Left Behind regulations. Gov. Chris Christie praised the federal government's decision this week to grant a waiver releasing New Jersey from the rules of the No Child Left Behind (NCLB) Act. On Thursday, it was announced 10 states, including New Jersey, would be granted waivers by the federal government that would allow them to bypass the rules and regulations of NCLB and give them greater freedom in developing systems of student accountability. The waiver comes with an approval of the state's required annual NCLB application, in which state officials advocated for the existing standardized testing benchmarks to be abolished. A new form of measuring student progress is to begin in September of this year. As part of New Jersey's successful waiver application, the Christie administration outlined plans for three principles that are in line with the goals of the Obama administration, according to the governor's office. These principles include college- and career-ready expectations for all students, state-developed differentiated recognition, accountability and support, and providing support for effective instruction and leadership. "The Obama administration's approval of our education reform agenda contained in this application confirms that our bold, common sense, and bipartisan reforms are right for New Jersey and shared by the president and (Education) Secretary (Arne) Duncan's educational vision for the country," Christie said in a prepared statement. "This is not about Democrats or Republicans—it is about pursuing an agenda in the best interest of our children whose educational needs are not being met, and those who are getting a decent education but deserve a great one." Through NCLB, student groups were measured on their separate performances, and schools were classified as making Adequate Yearly Progress (AYP) or "In Need of Improvement." Regardless of socioeconomic background, race or individual ability, all students were expected to meet the benchmarks set by the tests. If one group of students did not score high enough, an entire school could be classified as "In Need of Improvement." Schools that repeatedly failed to make AYP faced penalties that could include anything from reduced funding, firing teachers and administrative staff, offering more tutoring and support services, and in extreme cases, closing, or laying off staff. NCLB was signed into law in 2001 by then-president George W. Bush. It had a 2014 goal, in which all students were to be proficient in math and reading. Schools in New Jersey will no longer have to meet NCLB benchmarks, but instead will be subject to a "fairer and more nuanced accountability system ... that measures schools based on both growth and absolute attainment," a release from the governor's office said. This new system will separate schools into three tiers: "Priority Schools," which will be chosen from the lowest performing 5 percent of Title I schools statewide; "Focus Schools," which will be chosen from at least 10 percent of Title I schools; and "Reward Schools," or those schools that demonstrate high student performance, or are making progress in closing achievement gaps between student groups, according to the release. These schools will be identified during the summer, with interventions to begin during the 2012-13 school year. Randi Weingarten, president of the American Federation of Teachers, the largest education union in the country, said the Obama administration was reacting to the calls from parents and educators to fix what is often considered an imperfect system, but she was cautious in her appraisal of the situation. If state officials do not work with teachers and administrators to design their own new system, which should center around student learning and not test scores, NCLB could be replaced by a system that is either no different, or worse than the current system, she said. "We remain concerned that some states may use these waivers to simply put metrics on top of poorly constructed and implemented evaluation systems," she said. The Advocates for Human Rights proudly announces the publication of Energy of a Nation: Immigrants in America, 3rd Edition. This curriculum is a distinctive, comprehensive guide to teaching students about immigration in the United States with human rights analysis woven throughout lessons. It can be used in several disciplines and with different age levels, and it is available free for download on The Advocates' EnergyofaNation.org website. * Service learning opportunities to create a welcoming school and community. The curriculum is filled with engaging, student-centered activities that follow best practices for human rights education (HRE). Students learn by exploring their own immigrant history; role-playing a refugee's journey; deciding under what conditions they might risk being undocumented; playing games to understand the immigration system; drawing representative pictures of policies; rehearsing deliberative dialogue; constructing a gallery of nativism over the centuries; and creating a service learning project for their classroom or school. Using the HRE framework for immigration allows students to acquire the knowledge to understand immigration topics, but also to gain the skills and values necessary to process future information or experiences. Students learn to put information in context, check it against reliable sources, consider root causes, make essential connections, and participate in democratic processes. They are provided the opportunity to view themselves and the United States as actors in a global, fluid movement of people and to see the human beings that make up these mass flows as individuals - each with a story, a life, and the same rights that bind us all. The entire curriculum will be available to school and community educators online, free of charge. In addition, staff will respond to teacher requests to demonstrate lessons in K-12 classrooms and provide trainings to teachers and other school staff on immigration and human rights through professional development workshops. Growing up, we used a plethora of words to dismiss fools. Fom two different worlds, my father was from Jalisco so his sayings were always blander my mother’s Sonorense expressions, which always seemed franker and more to the point. If you were ugly, they called you el feo. It was the cow culture that reveled in a no bull sh.. mentality. When I messed up badly, I was the pinche güero or the pinche buey, which depending on how it was said was generally a put down. Words such as cabrón or chingado were rarely used unless in anger and mostly directed at someone outside the family. Even to this day they are words that are not taken lightly in Mexico, especially if used in the context of chinga tu madre. When you thought someone was stupid and just did not want anything to with them, it was estúpido, imbécil, baboso or pendejo. They had a shock value. My family was more passive and would just give you the señal de la cruz -- why call them names if they don’t exist for you. In the past several years I have found myself giving most Tucson racists the sign of the cross – they are brain-dead. Under normal circumstances, I would have given people like Arizona Attorney Tom Horne, Superintendent of Public Instruction John Huppenthal and the great majority of the board members of the Tucson Unified Schools the señal de la cruz. However, this was impossible because they do so much damage to an entire community. Reaching back into my consciousness I came up with the perfect descriptive word, idiota, a word that always had a poetic sound. Pinche güero was nice next to idiota! It was a word that had to be said in Spanish. The word sounded dull in English. Idiot just doesn’t cut it. It is as if it is spoken by Joe Pesci. Idiota has the ring of Sophia Loren strutting down the streets of Pozuolli, Italy, waving her finger at Marcelo Mastroianni and shouting idiota. It sounds like an angry Luciano Pavarotti aura. It is not mealy mouthed like idiot. Arizona Governor Jan Brewer wagging her finger at President Obama recently caught my attention; it a gesture that betrayed her IQ and upbringing. It was a punk act, and she did it because she knew she could get away with it. Lyndon B. Johnson would have told her where to stick it, and Richard Nixon would have fetched J Edgar Hoover on her. Hilary Clinton would have taken her outside. She never would have tried that cheap trick with Congresswoman Maxime Waters who would have had her for breakfast. Brewer is an idiota and a coward who she did it for show. Like many of her supporters she has no class. It goes without saying that Horne and Huppenthal are idiotas. Every time Horne says that he is with Martin Luther King and wants to judge a person by the content of his character rather than the color of his skin, he desecrates King’s legacy. Horne judged La Raza Studies without knowing the definition of La Raza, and condemned the whole program without making a single classroom visit. Although he invokes King, Horne attends neo-Nazi gatherings like "Arizona Mainstream Project," that promotes Glenn Beck and Cleon Skousen. Horne who avoided military invokes phrases such as MAS “must be destroyed.” Yet, he is afraid to visit a MAS class. Huppenthal dismissed a costly audit because he had heard differently from unspecified sources. Huppenthal compared TUSD Mexican students to the Hitler Nazi Jugend paramilitary organization at a Pima County Republican luncheon. Tucson has more than its share of idiotas. The truth be told, TUSD superintendent John Pedicone banned Shakespeare’s The Tempest because the racist Prospero reminded him too much of himself. When he was campaigning for his position, he voiced support of the MAS program saying that he heard good things about it. Once he had his $300,000 job in tow, he became the bagman for the Southern Arizona Leadership Council – a gaggle of modern day Robber Barons. has allowed Minutemen to speak while suppressing the Mexican American community. Stegemam is supposed to be evaluating curriculum but has come up with statements like La Raza is a cult because they use the farmworker handclap. Like his Tea Party colleague Michael Hicks, he is continuously bested by students who have to correct him. Alexandre Sugiyama, the latest appointment to the board, just sits there and votes with the majority that is rounded off by Miguel Cuevas, a college student who is a wannabe mover and shaker; he thinks that by siding with the SALC puppets, he’ll turn white. Cuevas would be the perfect Pancho in the Cisco Kid, or better still, the Lone Ranger’s sidekick Tonto. However, it is too easy to make fun of sick people. In doing so, you can cross the line and become like them. It is not good taste to bait a mad dog. But, I have to confess that I have crossed over this line. Aside from the main characters, the bagmen, there are scores of other idiotas. You have “Fringe characters” such Jared Laughner who shot Congresswoman Gabrielle Giffords (D-Ariz.), and killed six others. The wannabes can be found on the pages of the Tucson Citizen or other Arizona newspaper, grabbing their cheap thrills by writing commentaries to opinion pieces. They don’t write anything of substance, coming up with inane comments such as “go back to Mexico” or “this America.” Mostly they are anonymous like the flasher they get momentary thrills. In one case it was a CIA operative in Guatemala whose wife teaches in the Spanish Department at the University of Arizona who keeps up with Tucson via the internet and likes to feel important by dropping what he considers insider information. Marcus Tullius is of course Marcus Tullius Cicero purportedly Rome's greatest speaker and writer that greatly influenced European thought. Having read Cicero in Latin during my junior year in high school, I can say Mr. Anonymous is no Cicero. This pedant assumes that if he adopts Cicero’s name that makes him famous. This is a very thought-provoking interview with Joe Brewer, a colleague of George Lakoff and how paradigm shifts come about. I like his statement about diversity: "Biodiversity is actually very healthy for sustainability because one thing we need is resilience. We need to be able to adapt to changing circumstances and if all of the cultures of the world are too similar to each other and if the way they all align is not healthy, then we are more at risk, and global civilisation could collapse completely. When we talk about cultural change driving change in economics and politics, then we can find the strength of culture at different places and bring them together and drive innovation by plugging into places where cultures come into contact with each other."